One of the first posts I wrote on this blog was about a fruitluck I attended in the park. It was there that I first tasted jackfruit and its intoxicating burst of bubble gum sweetness. 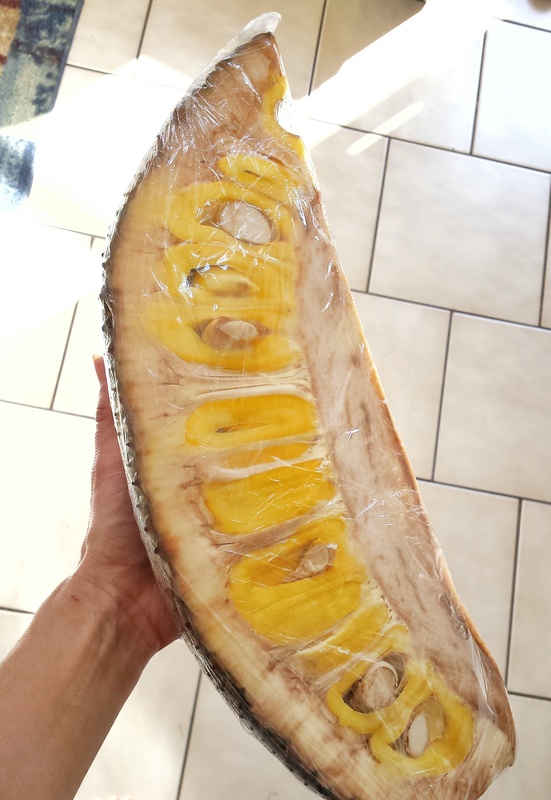 I stopped into the Asian grocery store for some coconuts the other day, and I could not take my eyes off of the sliced jackfruit. I don’t care for fruit that is pre-sliced or wrapped in plastic wrap. I much prefer getting the whole fruit and slicing it myself when it’s just ripe, but I couldn’t pass up this jackfruit. I could even smell its signature aroma without even putting it up to my face. In the basket it went. What does one do with fresh jackfruit? When it comes to special produce that I rarely have, the answer is always the same: eat it alone or as simply as possible. That way I can really savor it and appreciate its uniqueness. When I was down to the last of it though, I did throw a handful of it into the blender with some frozen bananas. bubble gum ice cream! 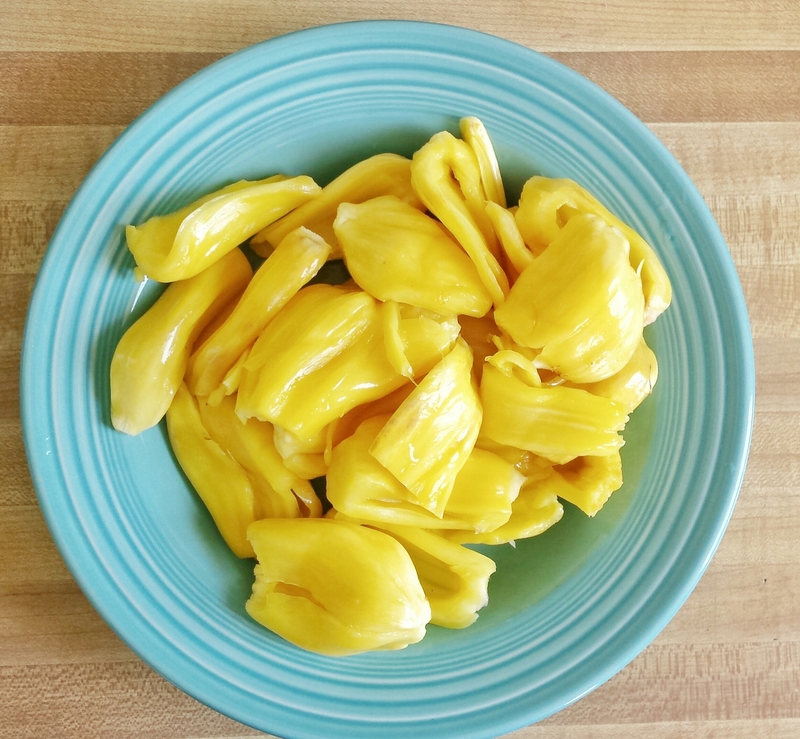 I’m so happy that I’ve become acquainted with jackfruit because it makes my summers so much sweeter! The Endless Catalog of My Bookmarked Recipes & Jackfruit Tacos! Have you ever had Juicy Fruit gum? Their signature flavor was inspired by jackfruit.